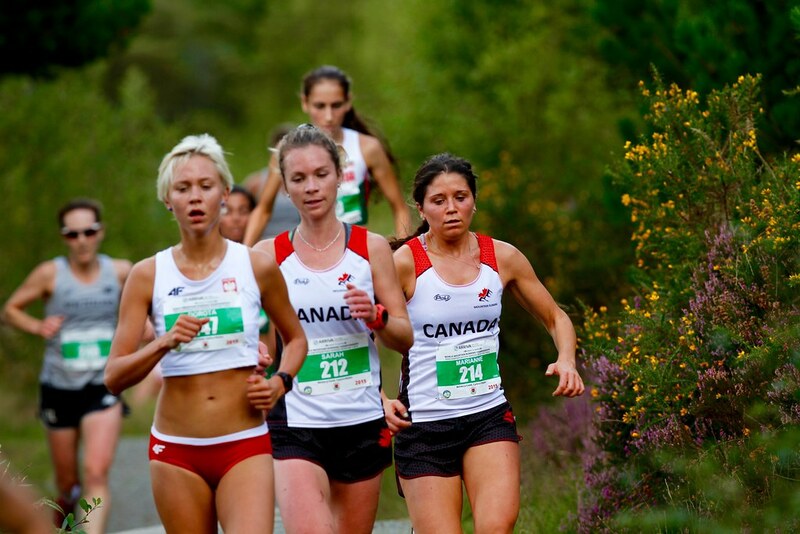 The Canadian women cracked the top 10 of the team event with three top 50 results and two men dipped into the top 50 at this year�s World Mountain Running Championships in Betws-y-Coed, Wales. 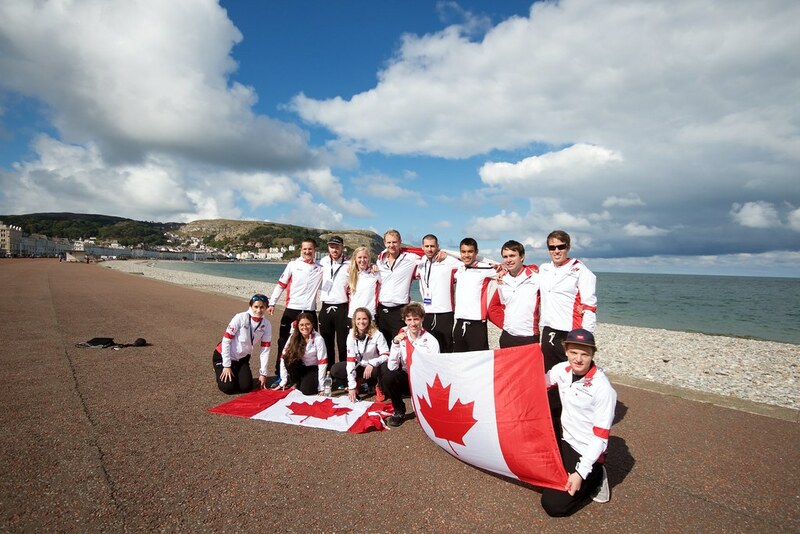 In total, Canada sent 14 athletes, which is the largest team to attend a World Championships for more than ten years. First up were the Junior Men, where Canada fielded a full team, all of whom were making their first appearance at the World Champs. Jared Welsh lead the way with a 50th place finish, and was shortly followed by Austin Sutherland, Hunter Sones, and Quetin Milner, running in at 57th, 60th, and 62nd, respectively. This team will only improve in years to come, as three out of the four athletes will still be juniors next year. In the women�s race, Marianne Hogan and national team veteran Sarah Bergeron-Larouche ran close together all the way to the line, finishing only one second apart in 33rd and 34th place. Jessica Kaiser followed shortly after in 45th and Adele Blaise-Sohnius rounded out the team in 52nd place. The tight finish allowed the team to secure 10th place by a single point! This is the first time Canada has placed in the top 10 in the women�s team event since the World Mountain Running Trophy in Girdwood, Alaska in 2003. 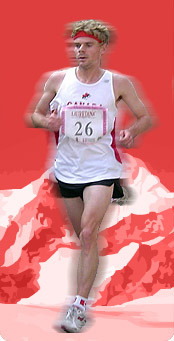 The final event of the day saw well over 100 men run the Senior Men's race, featuring three loops of the 4.2km course. Two Canadians, national team veterans Kris Swanson and Calum Neff each secured top 50 individual result, running into 45th and 49th place. Calum's result is an impressive improvement on his finish outside of the top 100 in the 2013 World Championships in Poland. Veteran team member Mark Vollmer finished under the 1-hour mark placing 87th, and was followed by Jordan Maynard, Graeme McConnell, and Oliver Bibby, placing 102nd, 104th, and 106th, respectively. Photos from the event are available on the organizer�s website or at the Canadian Mountain Running Association Facebook page. The Canadian Team would like to thank our supporters, Poli and Innovation Sports who supplied uniforms for the teams and to title sponsor Lambert Intellectual Property Law which continues to be a crucial supporter of the Canadian Mountain Running team. The Canadian Mountain Running team is one of its largest in recent memory, sending a full team of both senior men and women, as well as a full junior team, to Betys Y Coed, Wales, for the 31st World Mountain Running Championships. The team is filled with returning runners as well as a handful of new faces. The women�s team comprises of returning runners Jessica Kaiser (Cochrane, AB), who competed last year in Casette Di Massa, Italy, and Sarah Bergeron-Larouche (Quebec, QC), a multi-time Canadian team runner who most recently competed in 2013. The veterans are joined by newcomers Marianne Hogan (Montreal, QC) and Adele Blaise-Sohnius, who currently resides in Germany. On the men�s side, Mark Vollmer (Guelph, ON) and Kris Swanson (Tumbler Ridge, BC) are multi-time Canadian Team members, and are also joined by returning team members Calum Neff, who raced for Canada in 2013, and Oliver Bibby (Vancouver, BC), who made his debut at in Italy last year as a junior. The team is rounded out by newcomers Graeme McConnell (Calgary, AB), a University of Ottawa cross-country runner, and Jordan Maynard (Vancouver, BC), who was this year�s Canadian Long Distance Mountain Running champion in Vernon, BC. We are very excited to have a full slate of Junior Men racing this year as well, including Quentin Milner, Hunter Sones (Squamish, BC), Austin Sutherland (North Vancouver, BC), and Jared Walsh (Saskatoon, SK). 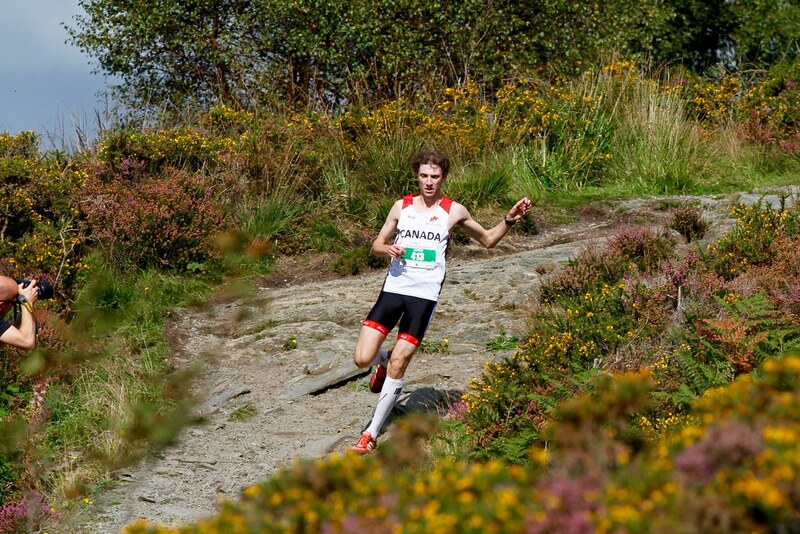 The future looks bright for Canadian Mountain Running thanks to these young elite runners.